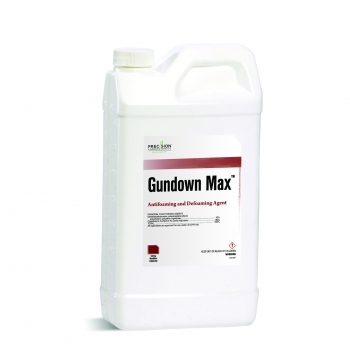 50% stronger than ordinary defoamers, Gundown Max is the strongest, fastest working defoaming agent available. Antifoam: 1-2 ounces/100 gal, add entire volume of Gundown Max needed for load when tank is 1/4 full. General Defoamer: 2-4 ounces/100 gal, add to spray solution at point of greatest agitation. Spot Defoaming: Apply by misting over established foam until desired results are achieved.